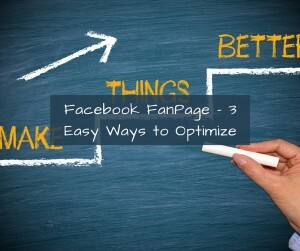 Using these 3 easy ways to optimize your Facebook FanPage will greatly increase your success when it comes to marketing online with Social Media platform Facebook. 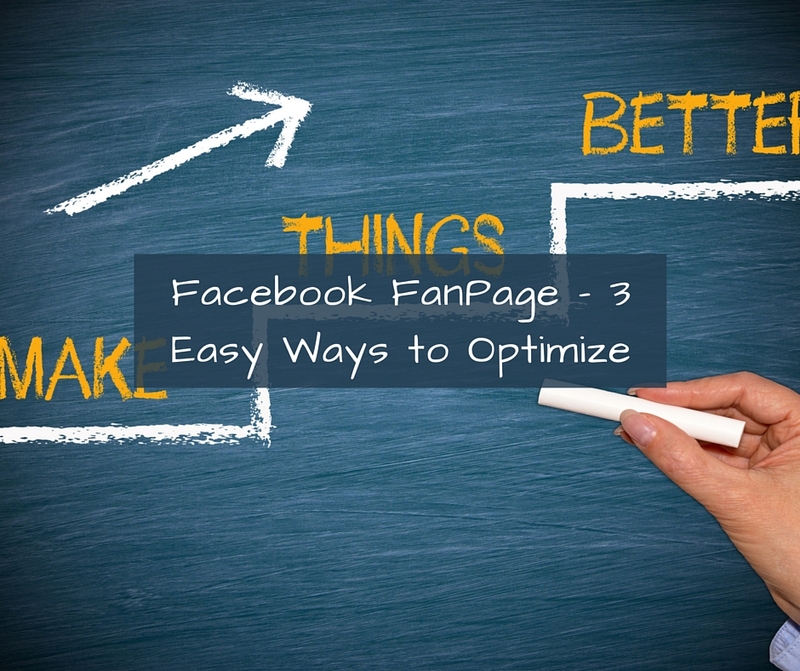 If you are just starting your journey on Social Media marketing using Facebook then understanding how to optimize and use Facebook properly is imperative. 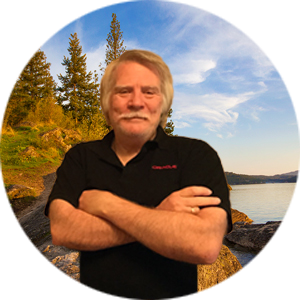 One of the things that I learned in Mark Harbert’s course No-Fear Video Marketing was how to do Facebook marketing correctly using video and ads. The other course that I would recommend for your personal branding and online marketing is Ray Higdon’s 3 Minute Expert. The first thing you need to do is have a professional header created. Whether you do it yourself or you source it out it needs to be done. If you are not great at graphics then you can go to Fiverr.com and use their service. Just do a search on Facebook Headers. I would recommend branding yourself and therefore having a current picture of yourself looking like your are having fun. You don’t need to over-think this, just make sure it looks good and represents who you are and who you are trying to attract. This is the thing that most people fail to do. Completing your About section is so very important. You need to fill out as much information as you can. You would be amazed at how many people actually look at the About section to see who you actually are and what you do. I will show you more in the video below. 3. Add a Featured Video to Your Sidebar. This is another area that people just forget about. This is another great feature to add to your Facebook page. It will look as though it’s a part of your About section but it’s really just a featured video. You just upload the video you want to show up on the sidebar and then make it your featured video. Remember to keep it 1-2 minutes and let the visitor know who YOU are. Excellent tips Ron! I see so many Facebook groups with either no header or a company specific one and then nothing about what the group is for. THese are great tips, thanks for sharing!